For more than ten years WMPG DJ’s had Phil Hersey to thank for keeping all the equipment up and running. Phil’s favorite time at WMPG was either late at night repairing equipment or when a band was playing and he was the engineer. Phil was the WMPG Technical Director and engineer for our Local Motives program, the program dedicated to live local music. If you were in a local band around here for the last decade, chance are Phil made you sound good. He was an institution within the local music scene. 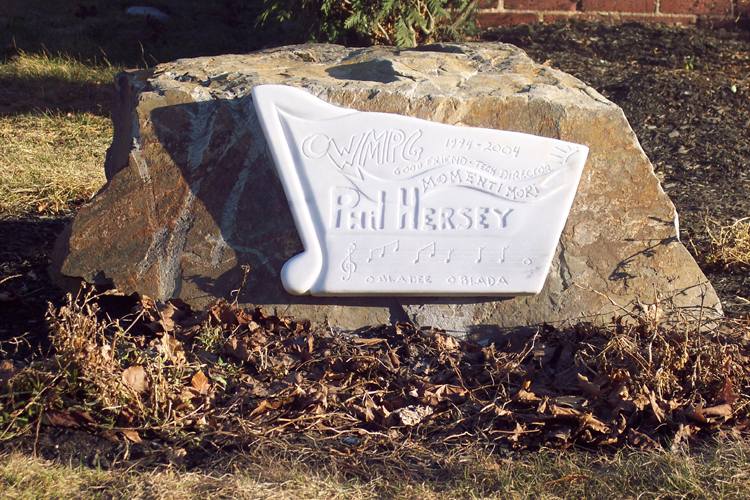 Phil passed away in 2004 and last year WMPG DJ Lars Lindgren completed this monument to him. If you want to hear some of Phil’s work just call one of our DJs and ask for some local music. We have more than 500 recordings in our library which he mastered. We miss ya Phil but are happy that your passion and love for live music has lived on here at WMPG!